March, 2015 | Fulcrum ConsultingWorks Inc. In today’s podcast Rebecca delivers three questions leaders can use to create effective and safe data-based problem solving. Rebecca discusses why apparent alignment may not lead to success, and how the business owner can ensure true organizational alignment to a path. What’s the difference between regular profits and strategic profits? Today Rebecca explains that, and why the distinction is very important to business owners. 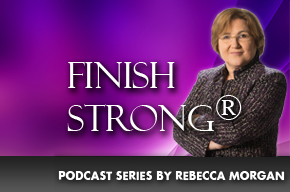 Rebecca shares three concepts to subdue your toughest issue. Are you constantly dealing with emergencies? Rebecca shares ideas on how to transform your organization and professional life and avoid the fires. Are you still creating a five year strategic plan? Three year? Today Rebecca explains how a 25 year vision provides the foundation for meaningful short term plans. Rebecca discusses why customer/supplier partnerships must advance to increased sharing of the additional risks now faced by small suppliers.